Each year, a group of friends and I head off for our Annual Golf Outing. It’s been going on so long, we just call it “The Annual.” In our circle, that is all the description it needs. As a matter of fact, this year was the 30th Annual. (No, I have not been going the whole time). It’s a weekend of fun, laughing, adult beverages and some (very poor) golf. And of course there are many stories that I can’t repeat. Good times. This year I noticed that there were several products that were “must haves” at the Annual. These were the ones that were used every day…and every one wanted. So here are the 3 Products I used (nearly) everyday at the Annual. DM130 Triblend T-shirt: Each year, we have a t-shirt that commemorates the event. It has become a tradition. We come up with fun design each year and the group doesn’t get to see them until I arrive. This year we chose the Super Soft DM130 shirt for the keepsake. It’s the comfy kind of shirt you want to wear…and they were a hit! 12 oz 3 in 1 Insulator: This is one of those products you need to see in action! That was certainly the case this year! When I took these out, most people thought they were a Basic Vacuum Tumbler (and those are awesome too). But when I showed them that you could not only drink out of it, but also take it a part and use it as a Vacuum Sealed Insulator of drinks, you could see their minds get blown. On a hot weekend where temperatures were at nearly 100, this was a must! Shockwave Speaker/Charger: When you are “pro-level” golfers like us, you might want some tunes on the Golf Course! We did. But you want to be careful with these, because the sound can carry! And with nearly 40 hours of play time, this lasted way longer than my phone. But no worries…it’s a charger too! So this is an awesome piece for the course…and the back porch. So those were the 3 products I found myself using each day at the Annual. Some other time, maybe I can tell you some other stories…but probably not! Make sure you never miss an update by signing up for the VIP newsletter here. Or if you want ideas for your next event, please contact your HMC Sales rep! Oh…if you want to shop online, just head here to check out much of what we have to offer. 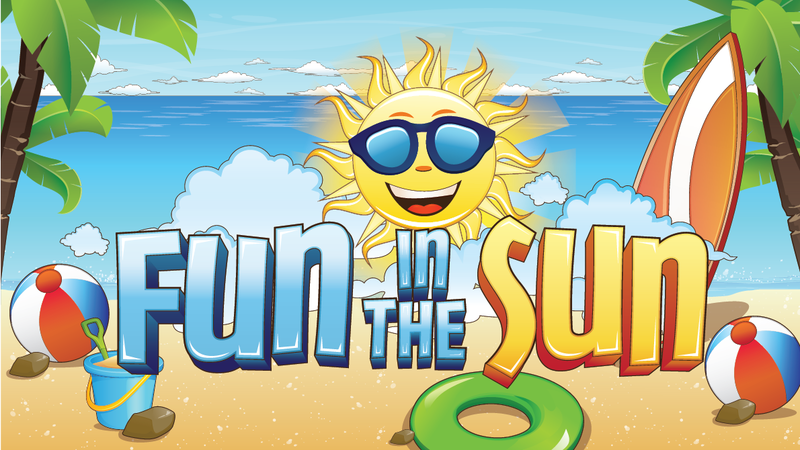 It’s time to bring “Marketing Joy” to the masses! 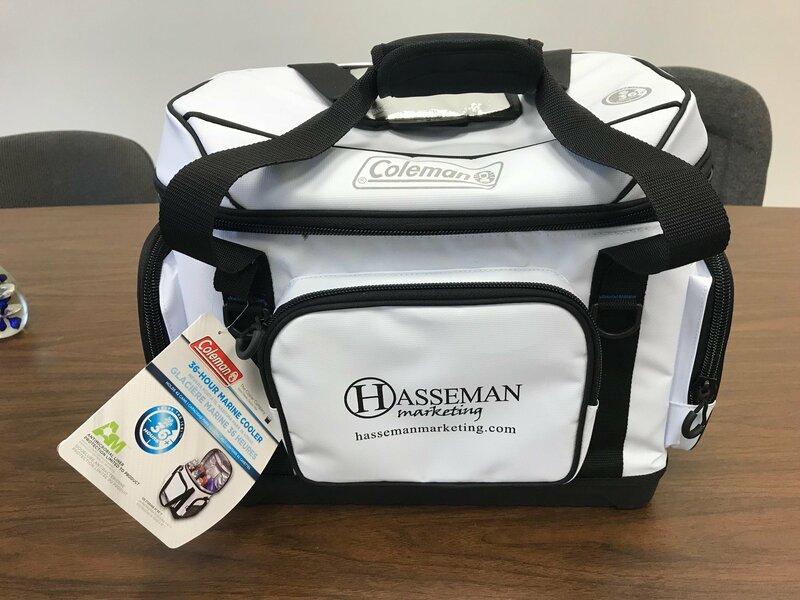 At Hasseman Marketing we pride ourselves in providing amazing promotional premiums to customers all over the United States. And frankly, we want to provide the right product to the person for the right situation. It’s NOT just about slinging SWAG. That’s why we help you ask the right questions (here are 5 you should ask before your next promotion). On the other hand, we want to be THE place you look for the best cool products for every occasion. We want to create “Brand-Slams” for you and your organization! 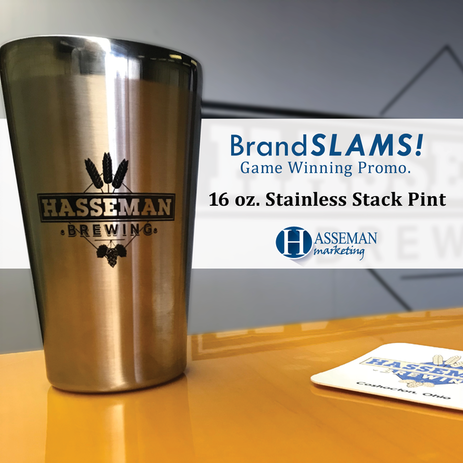 This week on Brand-Slams we look at the Stainless Stack Pint! 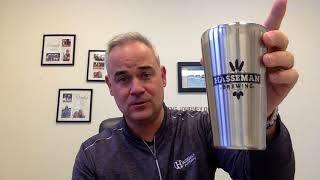 This 16 oz Stainless Steel Pint tumbler is double walled and vacuum sealed. What does that actually mean to you? Well since it’s double walled, it won’t sweat. And since it’s vacuum sealed it will keep your beverage of choice cold for hours. (You can order online here). As a side note, this is the same technology that makes the Yeti work, so it will keep coffee hot for hours too. It’s a true Brand-Slam! At Hasseman Marketing, we think this is a great gift for all year. 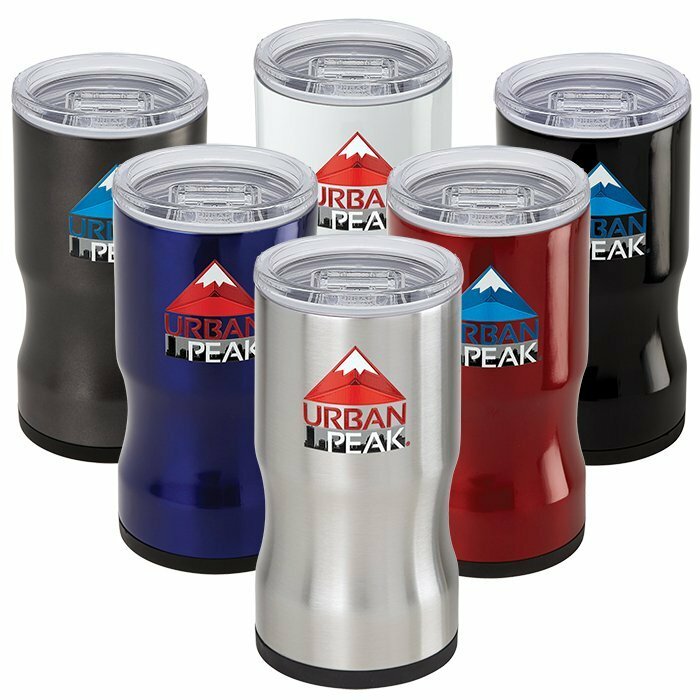 You can surprise and delight your team with these Stack Pint’s for a company picnic, or get your customers fired up for a Tailgate. (As a matter of fact, here are some other cool products for an event like that). Or, if you want to reach into the life of a craft beer lover, you will win their heart with this. So if you are looking for an item with high perceived value, and a cost that will not break the bank, the Stack Pint is for you. It truly is a Brand Slam. To make sure you stay on top of all of our content (including the next Brand Slam) make sure to sign up for our VIP newsletter here.